Woo-hoo! You have done your research and picked something to Do What You Love, Love What You Do for a business. And you are ready to hit the ground running because you put all the boring business things in place, right? Well, hold on for one hot second. Did you stop to create your own brand? Wait, what? You know, your own Personal Branding, not just the stuff that corporate gives you as a direct seller. Or maybe you are starting your own shop/business so then it is super important! Ready to learn why? Personal branding is setting up a collection of colors, fonts, and possibly a logo/brand to use as a watermark. A tool to house all of these would be a branding board. This is done so that you can make cohesive images for your social media postings, digital/paper materials, and anything else you might use for business communications. 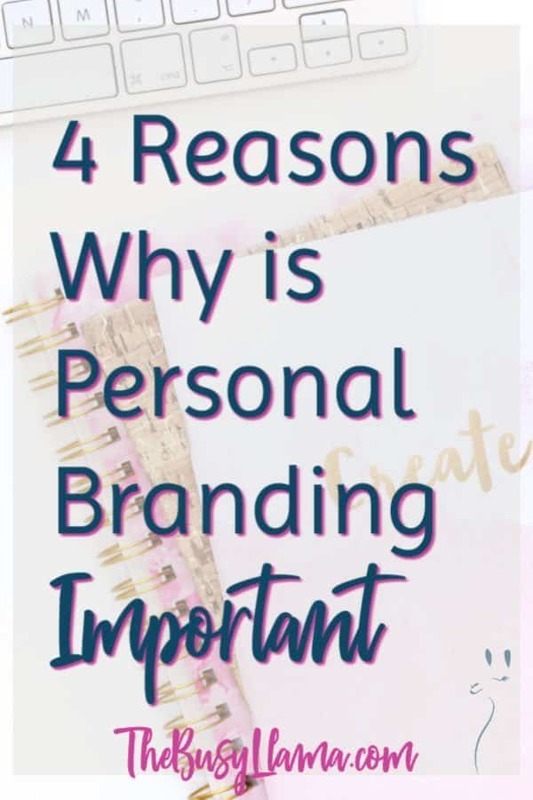 Once you have created your personal branding and have a branding board for quick and easy reference reason #3 will come into play! That cohesiveness from reason #1 will lead to people starting to think of you in other areas of their life. Your personal branding, though it might never reach the level of that Nike Swoosh, will still have people recognize that a social media post is yours without them having to think too hard. You know you have that personal branding recognition when you start getting tagged in every #teampink, #teampurple, #teamfavoritecolor item – – everywhere. For example, I get tagged in a lot of llama things. I love it! I am glad that my customers, many of whom have become very good friends, think of me every time they see something llama-related. Which means they will come to me when they have a coffee, clothing, or business tool need. Have you ever just stared at your computer or device while trying to pull together a graphic but you are sure what color to use, or font, or tone? Well, if you have pulled together your branding board ahead of time those tasks are easy peasy! Batching weekly graphics will soon become a quick and seamless task for you whenever you are starting a new campaign. And if you are just starting out creating graphics check out the review of Brand Yo’Self with Suite Graphics video course” target=”_blank” rel=”noreferrer noopener” aria-label=”Brand Yo’Self (opens in a new tab)”>Brand Yo’Self to see if it might be a good fit for you. This one is very important! There have been a few discussions about the average lifespan of a Direct Sales business is approximately 18 months. Well, if you fall into that lifespan or your passion changes or you add on another business opportunity you can easily take your branding with you, it isn’t tied to a specific product or service. Hopefully, you have been inspired to develop and create your own personal branding and branding board. Be sure to check out the postsome tips so you start off on the right foot. Want to see my branding board or some other examples? Drop me a line, I’ll be happy to share. Want some feedback on one you have created? Share it with The Busy Llama community!